Jordan Dene makes a variety of adorable and geeky aprons on her Etsy site (including Powerpuff Girls, Batman and Robin, and Pokemon themed ones), but none are as amazing as her TARDIS aprons. They’re available in sizes small-large, or in a less curvy, one-size-fits-all option. 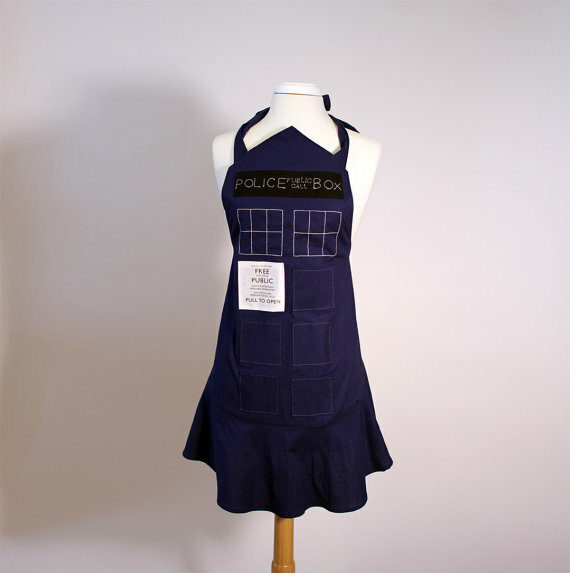 The TARDIS apron is available for $58 here, or you can see all of her designs at Etsy.com.